Thoracic outlet syndrome is a group of conditions that involves pain, numbness or tingling sensation in the neck and/or upper limb as a result of compression of the neurovascular structures. This condition is very common in athletes that are actively involved in overhead sports. People with poor posture such as drooping shoulders are more susceptible to thoracic outlet syndrome as the diameter of the cervicoaxillary canal is reduced. Congenital abnormalities of the structures in the neck can compress the neurovascular structures in the thoracic outlet and result in signs and symptoms in the neck and the upper limb. Complete cervical rib, incomplete cervical rib with fibrous band, fibrous band from the transverse process of the lower cervical segments and clavicular abnormalities are a few of the congenital abnormalities that can cause neurovascular compression at the thoracic outlet. Learn more about thoracic outlet syndrome. Cervical ribs can present just on one side but are more commonly found on both sides when present. However, not everyone with cervical ribs have signs and symptoms of thoracic outlet syndrome. 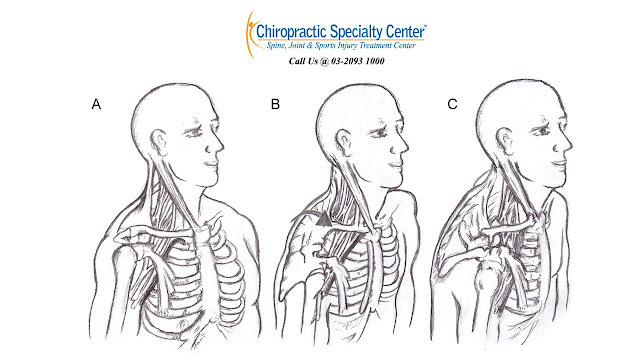 In fact, only about 10% of patients with cervical ribs have signs and symptoms of thoracic outlet syndrome. Shortening and tightening of the scalene muscles due to active trigger point can result in thoracic outlet syndrome. Patients with fractured first rib or clavicle, psudoarthrosis of the clavicle, malunion of clavicular fractures, callus formation or crush injury to the upper thorax are at a higher risk of developing thoracic outlet syndrome. 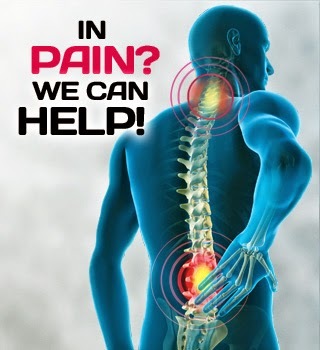 For more information or inquiries, please contact Chiropractic Specialty Center at 03-2093 1000.